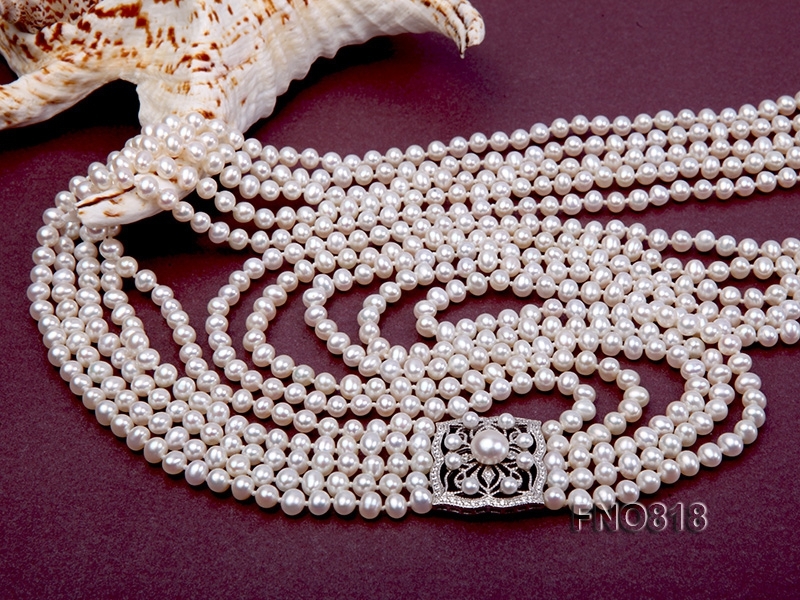 This is a gorgeous five-strand pearl necklace, made with 5.5mm round freshwater pearls and a delicate sterling silver center piece. 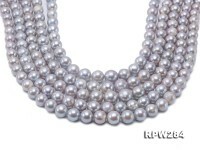 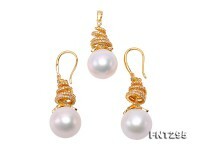 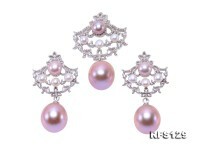 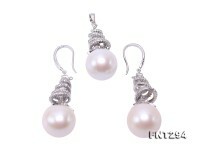 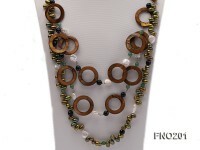 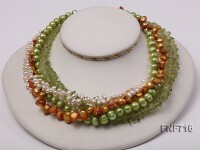 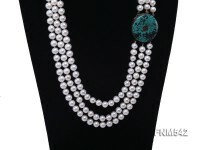 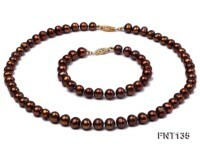 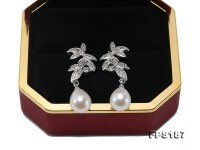 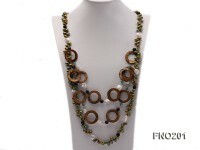 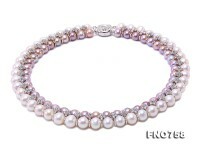 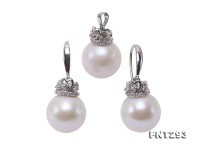 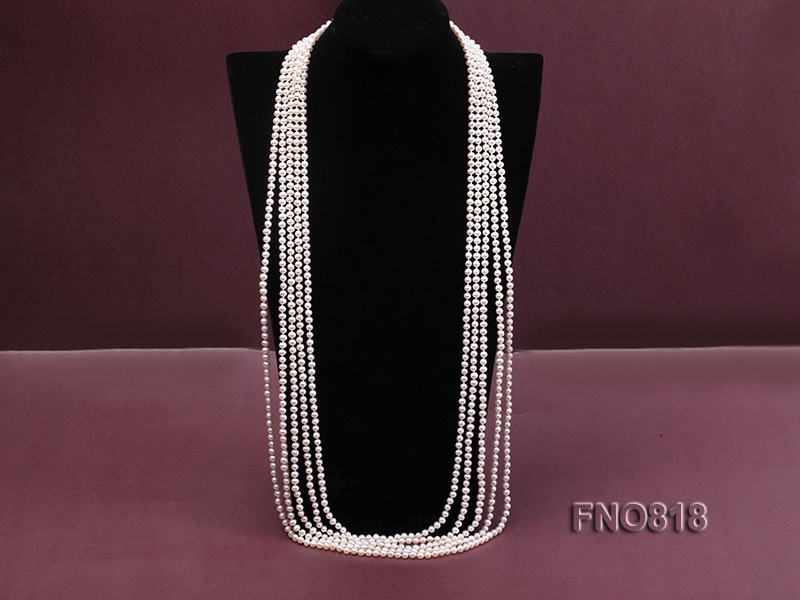 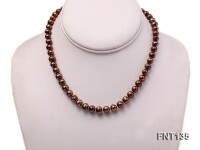 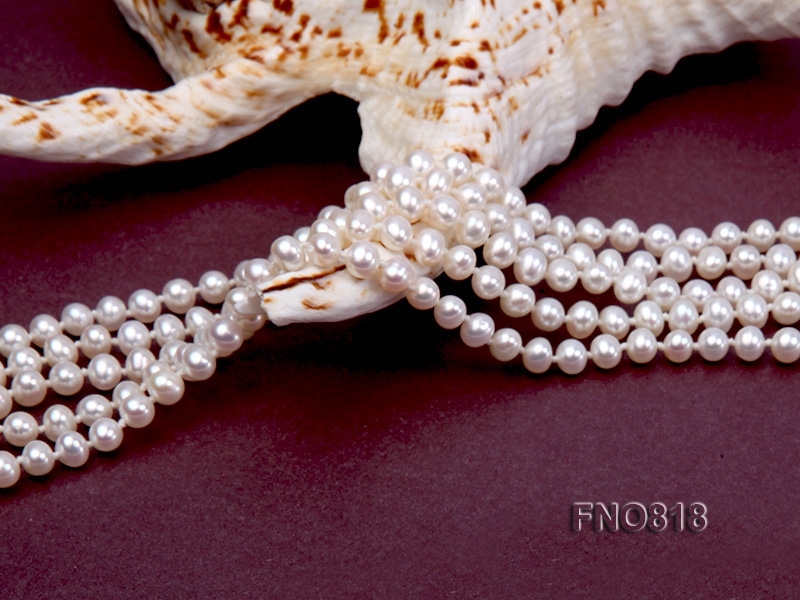 These pearls are of high luster and looks stunning. 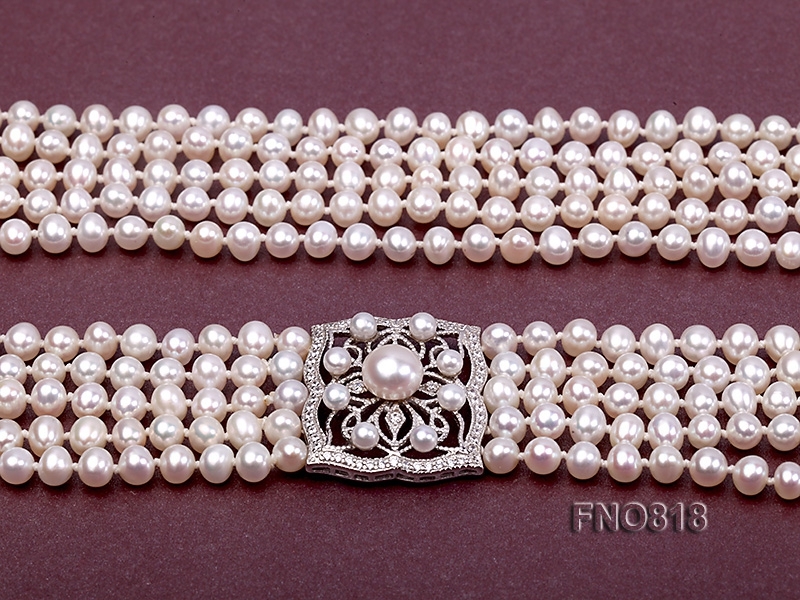 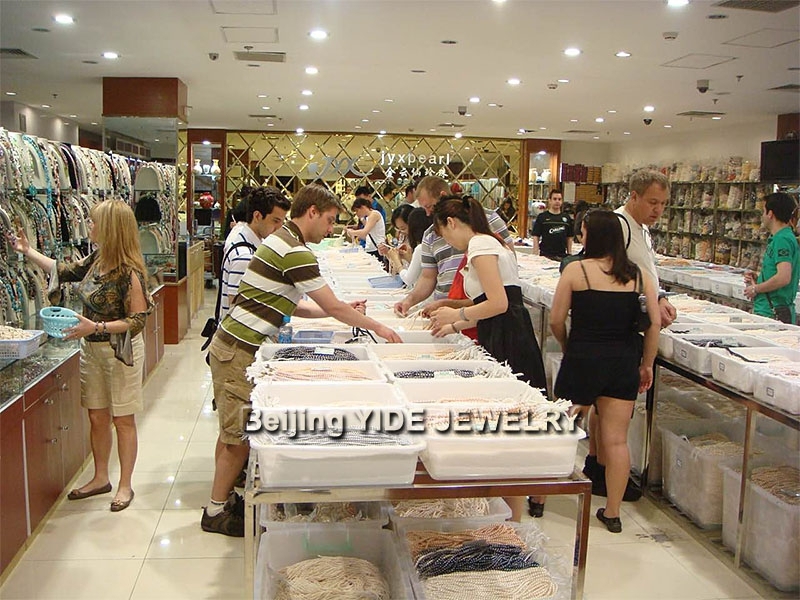 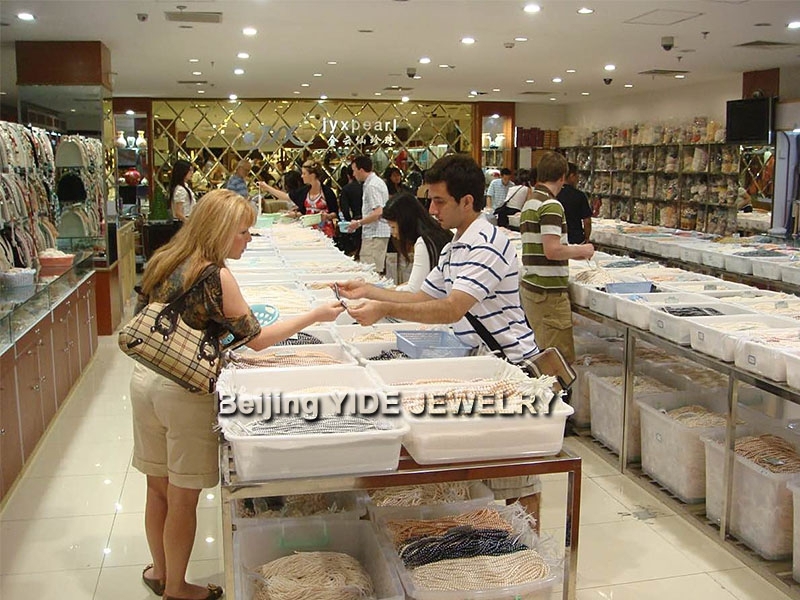 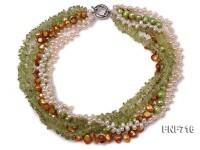 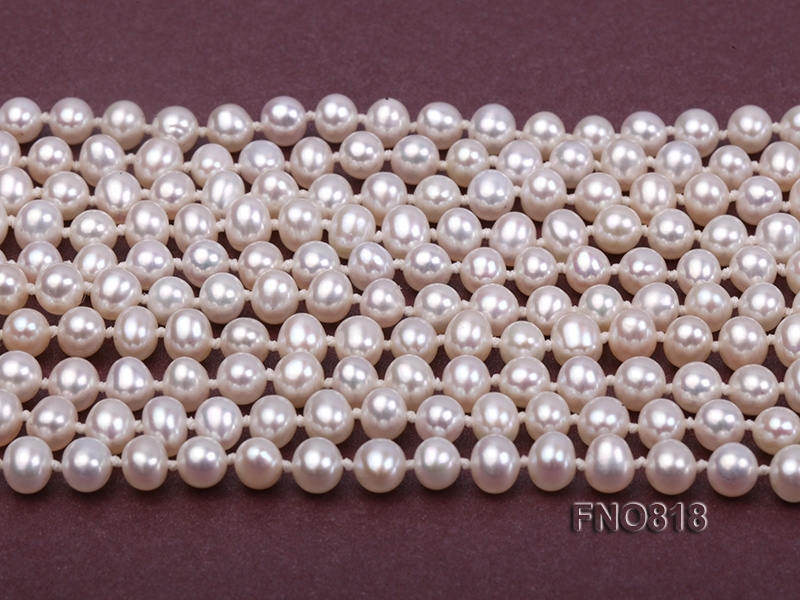 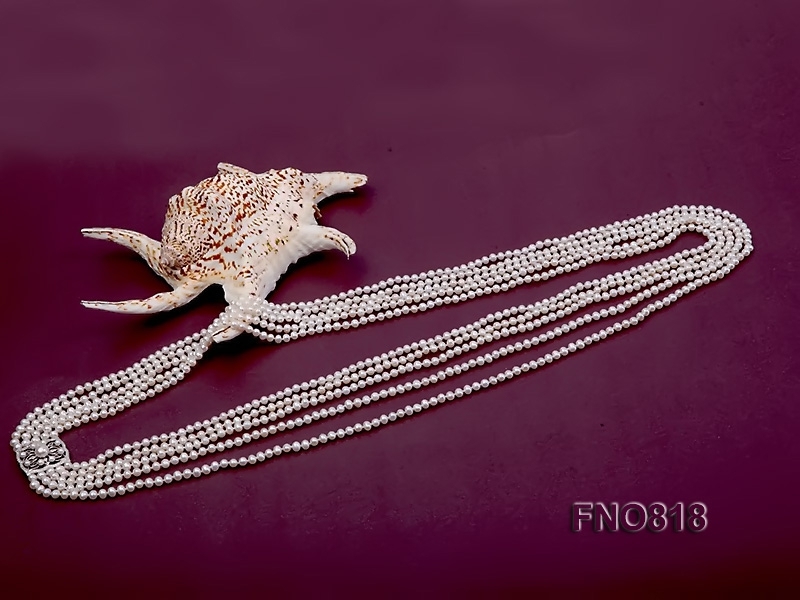 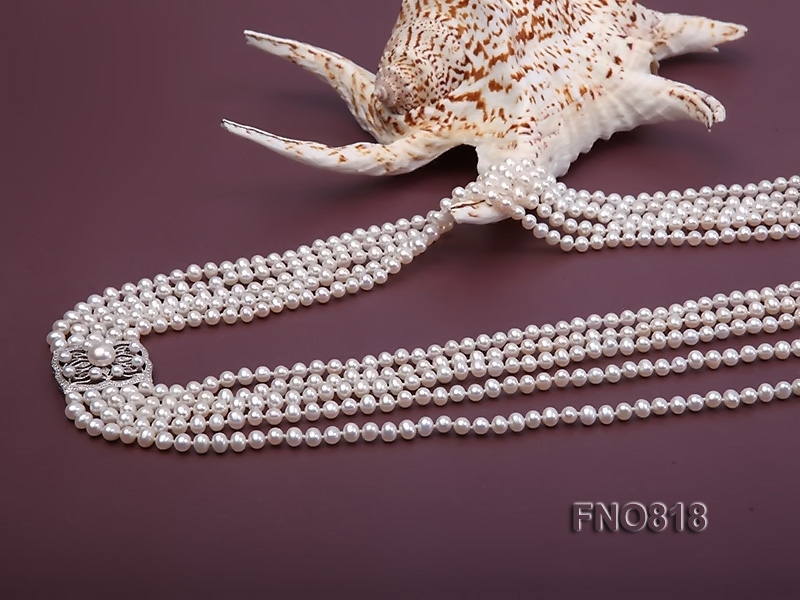 Every pearl is very shiny and is individually hand knotted between each other. 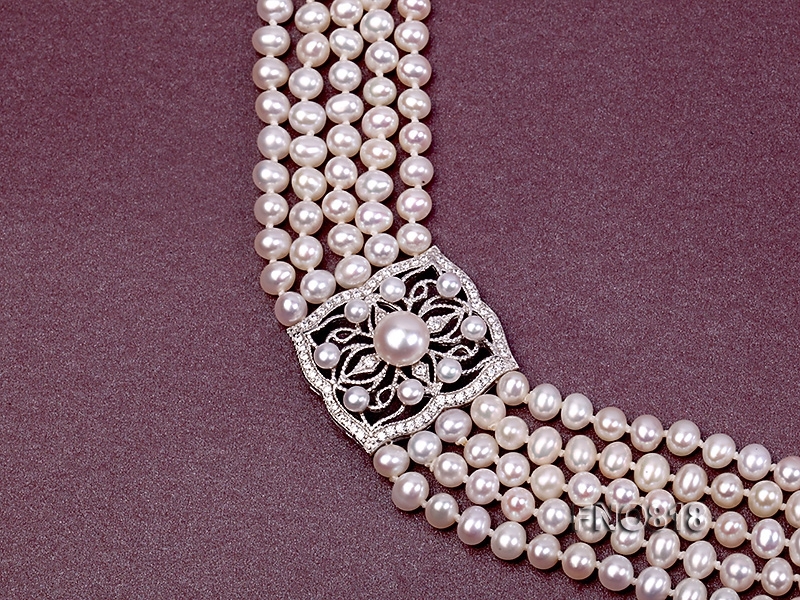 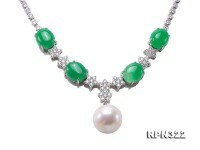 There are shiny zircons and pearls inlaid in the sterling silver piece. 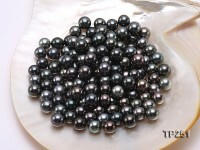 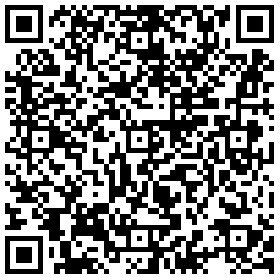 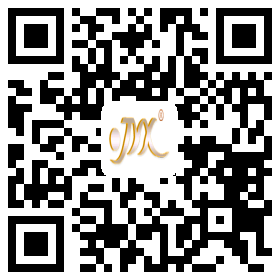 Our best quality and good price.